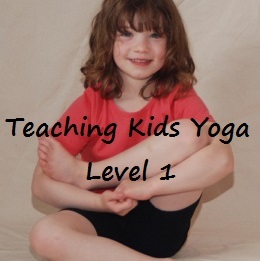 A local yoga instructor is doing her part to promote healthy living for children. Donna Freeman is the author of the new book Once Upon a Pose and today she joins us in studio. She’s also brought along some kids. We are talking about yoga and kids and how fun it can be. But you’re specifically looking at how to get yoga into schools. Yes, yoga in schools is a really wonderful combination of bringing the health benefits and the intellectual and emotional training into the classroom. It’s just vital to bring it into the classroom these days. Kids need these skills. Q: What’s some of the stuff you are able to do in the classroom? You can use what we are doing today which is a whole lot of partner poses. Partner poses develop cooperation and team work and they get kids talking with one another and working together in a really unique way. Another thing that is nice about a school is you can use what’s in a school, a desk and a chair, to do yoga. A lot of people don’t think of that because in their typical class, which is in a studio, and there is a mat and they aren’t sure how to adapt it to a school. Q: What are some of the benefits for kids? Increased focus, improved concentration, their creativity skyrockets, their impulse control is greater. As well, it reduces their stress so that they are in a mental and emotional place where they’re ready to learn. Q: And you think you can use this in different subjects? For sure. 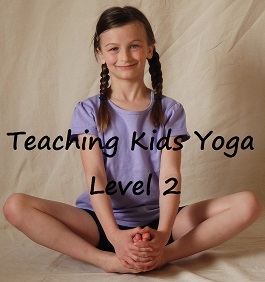 You can use yoga in a science classroom, mathematics classroom, language arts classroom, even in an art classroom. 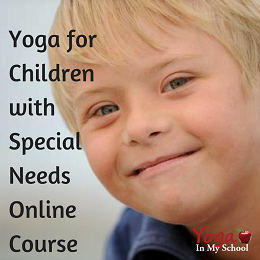 Y0u can incorporate yoga poses in all those subject areas.